“I love those who can smile in trouble, who can gather strength from distress, and grow brave by reflection.’Tis the business of little minds to shrink, but they whose heart is firm, and whose conscience approves their conduct, will pursue their principles unto death.” – Leonardo da Vinci, famous artist, sculptor, architect, anatomist and botanist. Just as persons achieve their goals in life because of following their principles to the core, similarly, SCRUM also focuses on its core set of principles which is firmly based on its framework to get the positive outcome. 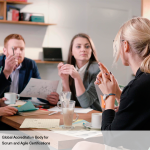 One of the biggest advantages of implementing SCRUM is that it can be theoretically and practically implemented in any kind of project or organization and all the principles should have been mandatorily adapted in order to confirm the correct application of SCRUM. 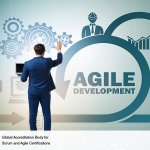 Although Scrum processes can be suitably modified in order to meet the requirements of the project, or that of the organization which uses principles of SCRUM, it must be understood that the principles are non-negotiable and must be applied as per the guidelines. The reason for maintaining the principles and using them as per the required standards are that it gives confidence to the user. 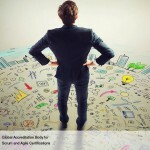 Roles Guide: This part mainly focuses on the type of section/subsection which is suited for any of the core SCRUM roles of Product Owner, Scrum Master and the Scrum Team. 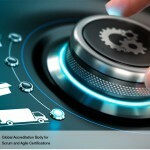 Empirical Process Control: This part is important as it defines the first principle of SCRUM and the three important ideas of transparency, inspection and adaptation. Self-organization: This part is important as it focuses on the second principle of SCRUM highlighting on the staff members who can offer higher productivity in services when they are properly organized by means of team spirit and self-ownership of a project. This mainly focuses on the new and artistic, ingenious environment which is more favorable for growth. Collaboration: The third part which focuses mainly on product development as a shared value-creation process. For this process to be successful, all the stakeholders should work and interact together in order to deliver the greatest value. Value-based Prioritization: Known as the fourth section in the principles of SCRUM, it mainly concentrates on the framework of SCRUM in order to provide the optimum business value in the least possible time. 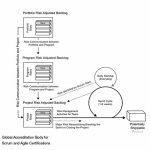 Time-Boxing: after the four principles of SCRUM, this section treats time as a limited constraint.